Feeling prepared to take on the day is a big step in being productive. Because, if you don’t have a plan, procrastination sets in and before you know it, three hours have passed and you’ve accomplished nada. See, this used to be an issue of mine, until I started using a planner. Spending the time to plan out my days and recording action steps to accomplish my to-dos, projects, and appointments, has made my life 100x easier and has made me 100x more productive. OH! And, the best part? You can make your own planner for FREE. Yep, finding great FREE planner printables is super easy and quick with Pinterest. Sometimes you might have to dish over your email for access to a blog’s free printable content, but WORTH IT. Just follow the links to print and create your DIY planner from scratch! We all need a monthly calendar to kick off our planners! I love using my monthly calendar’s to display my big picture goals and to-dos for the month, but you can read more on that here. Simply print, 3-hole punch and insert into your Perfect Yearly Planner binder! In addition to a monthly spread, a weekly spread is super helpful for planning! Weekly spreads are great for brain dumping all the things you need to do for the upcoming week such as to-do lists, projects, appointments, etc. Read more about that here! Daily spreads are my favorite type of planning printable! There’s nothing like organizing all your thoughts and to-do’s in the morning to have a super productive day. Having monthly, weekly, and daily planning printables for your planner make a great foundation. But, what about all the other stuff going on in your life like bills due dates, birthdays, and travel dates? You need a place for all that good stuff, too! Keep every thing else in your life organized with note-taking, to-do list, and bullet journal spreads for your DIY planner. “Declutter Your To-Do List” by Michelle Simpkin Co.
As I said, the above list of free planner printables will help you create a super functional DIY planner. However, if you feel like you need a little more organization for all aspects of your life, you’ll enjoy the Who Says What resource library. Our resource library has dozens of organizational printables for every aspect of your life. Simply click on a link below to sign-up for instant access to the Who Says What Resource Library. There you have it! 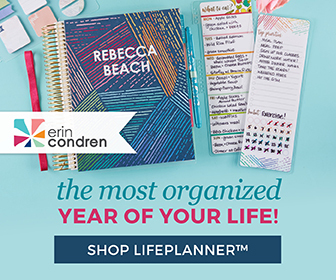 The answer to how to make your own planner with free printables! Use these 25 awesome printables to make creating your 2019 planner a breeze! Cheers to crushing your goals next year!